Schedule an appointment with us for a face-to-face consultation. Your referrals are very much welcome! Send them to Cornerstone Healthcare Systems! 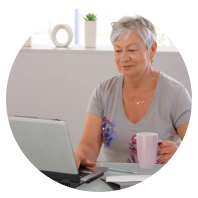 Our care coordinators will be happy to meet you for an assessment of your needs. Help us improve as a home health care team. Send us your feedback! 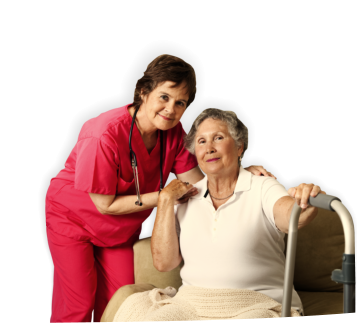 Home care is a cornerstone in the delivery of health services. While hospitals and skilled nursing facilities are essential, they’re also costly and often not what the patient wants. The first care option should be at home, where people are most comfortable and able to recover on their own terms. 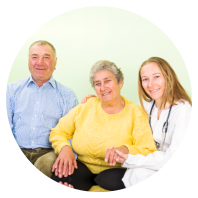 This is what Cornerstone Healthcare Systems provides you and your family with – the choice to remain at home and to recover at home! Our clinicians come to you to assist in the management of acute and chronic mental health issues and other illnesses. We deliver compassionate care from the heart in the comfort of your home. 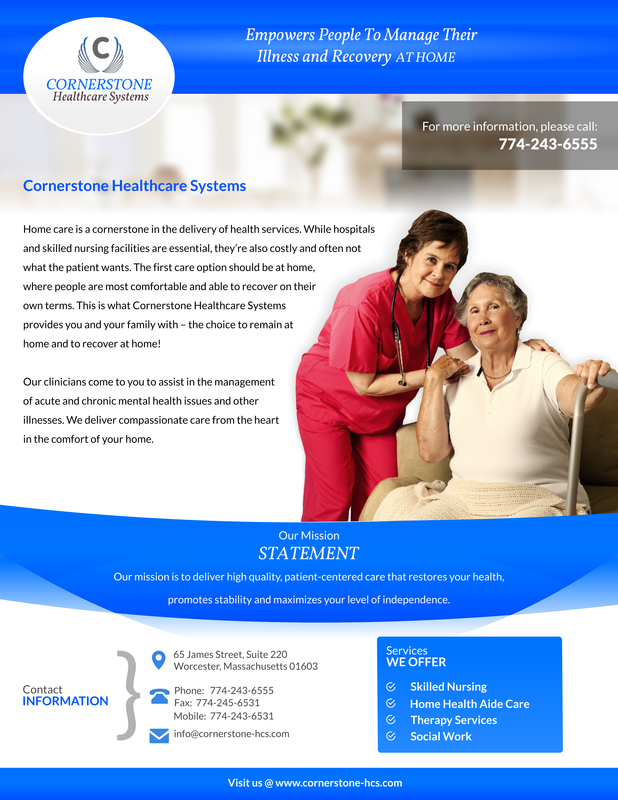 Cornerstone Healthcare Systems is an extension of your physicians, executing the treatment plan they’ve prescribed. We make it easy for you to follow doctors’ orders, and we serve as their eyes and ears by providing regular updates on your progress. 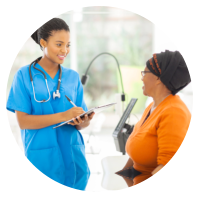 Would you like to receive home health care from us? 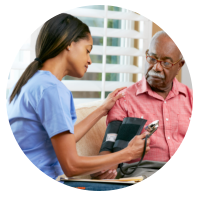 Call 774-243-6555 today and get started with a thorough home health needs evaluation. Our mission is to deliver high quality, patient-centered care that restores your health, promotes stability and maximizes your level of independence.